Living a life that gets better every day is about knowing one’s passions and priorities. Each morning that we wake up is an opportunity to create and collect special memories that will be remembered and will stand the test of time. The stories that we collect every second of our lives, coupled with our experiences, are what we share with family and friends. We enjoy reminiscing past experiences and sharing personal events that they have not witnessed. These chit-chats allow us to reconnect and enable our loved ones to always become part of our lives. Times meant for reconnecting, reminiscing, and sharing are best experienced over good food and fine wine. But since such occasion calls for something calming and laid back, it is suggested to have a wine that’s not so heavy and can be consumed in a cool way. “Whenever we have conversations with friends, it is always nice to stay alert and focused.That’s how we can foster better relationships – through active listening. And there’s a perfect wine for such kind of gathering, something that sweet, red and Carlo Rossi,” says Von de Torres, Managing Director of Emperador Distillers. De Torres is referring to Rossi Sweet Red, a sweet red wine crafted from grapes grown in California’s sun-drenched vineyards and bursting with flavor and aroma, as your perfect partner in making life better. It has layers of vanilla, bright cherry and wild raspberry flavor creating a different kind of sweetness. No matter how simple the get-together is, whether it is just chit-chat over popcorn and chips or a wonderfully prepared meal, Rossi Sweet Red remains perfect as it is well-suited to any kind of food vis-à-vis celebration. 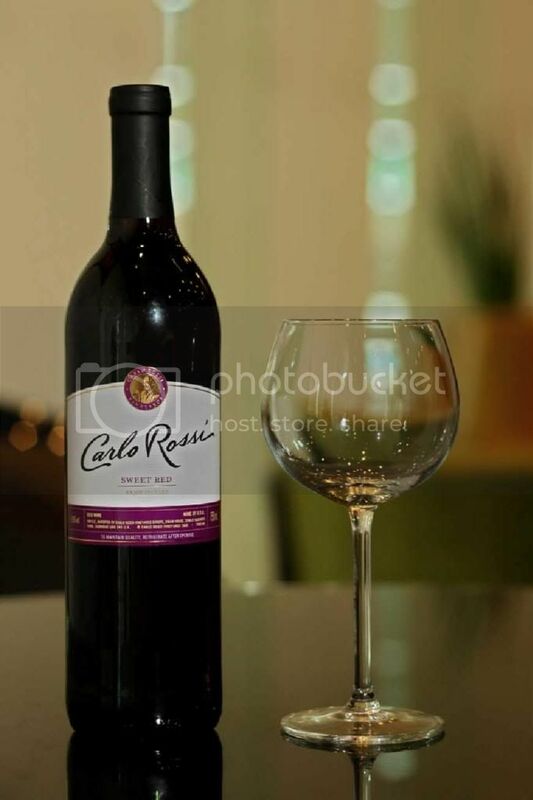 What’s sweeter and better is the idea that Rossi Sweet Red is recommended to be consumed ‘”on-the-rocks.” As chit-chats with friends call for something smooth and chill, having Rossi with ice is just perfect. The ice brings out the best in Rossi, makes for a smoother finish,and doesn’t compromise the taste even when the ice melts. The taste stays perfect, as she said,that allows people to savor the sweetness in real red wine. Life gets better with loved ones and good friends around. Like fine wine, let our relationship with them age so it gets better. Make sure that every moment spent is memorable and sweeter with Rossi Sweet Red.